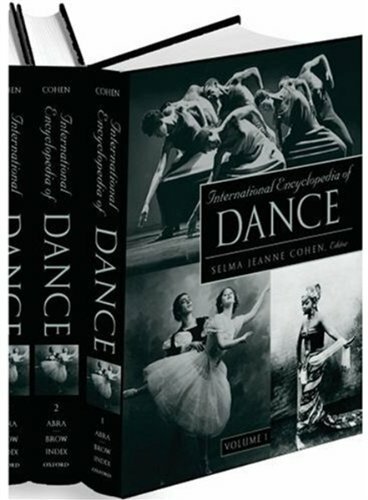 This page will show you how to locate books about dance in the library's catalog, give you direct links to the best databases we have available for journal articles about dance, and make you aware of some useful reference sources. The New School Libraries and Archives holds hundreds of books about dance. They fall within the call number range of GV1580 to GV1799 and are shelved at the Performing Arts Library in Arnhold Hall, 55 West 13th Street, on the ninth floor. This link will pull up a list of books in Bobcat, the library catalog, that have the word "dance" in their subject heading and are at the New School . This is several hundred titles, so be prepared to spend some time browsing or to add some keywords of your own choosing to the search boxes at the top of the list! Here are just a few of the databases that you may use to search for dance-related articles. International Bibliography of Theatre & Dance with Full Text contains all of the content available in International Bibliography of Theatre & Dance as well as full text for some of the titles. It also contains author supplied abstracts and keywords, and author affiliations as well. Ballet terms demonstrated in brief video clips by some of the best dancers in the world! Located in the reference collection of the Performing Arts Library (Arnhold Hall, 2nd floor Reading Room), this is a great starting point for research on a wide variety of dance-related topics.